IBTimes.com has an interesting article on different generations’ opinions about presidential greatness, and the factors that influence those opinions. Click here to read it. 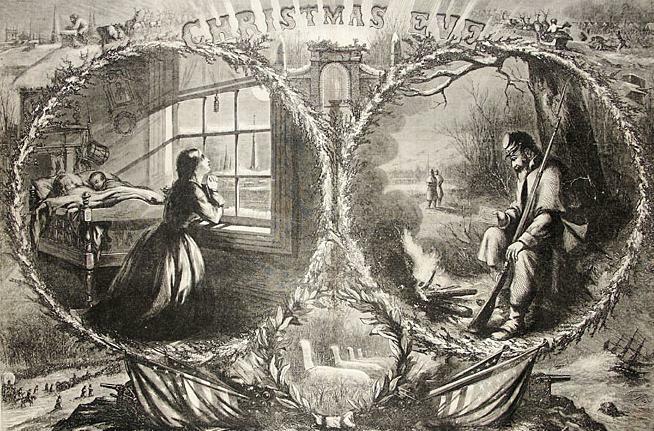 Illustration by Thomas Nast, from Harper’s Weekly. Nast was a popular cartoonist who is often credited with shaping the modern image of Santa Claus. Newt Gingrich has been invoking Lincoln’s reaction to the Dred Scott decision in order to support his stance on the proper role of the federal judiciary. FactCheck.org asked historian Bryon Andreasen to critique Gingrich’s analysis, and you can read his response by clicking here. U.S. Secretary of Transportation Ray LaHood received the Lincoln Diploma of Honor at this year’s winter commencement ceremony at Lincoln Memorial University. 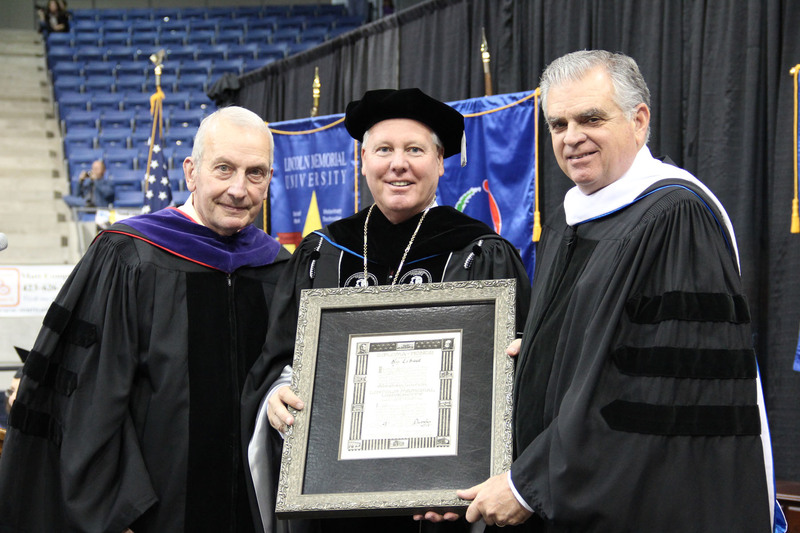 This honorary degree, conferred upon individuals who have made significant contributions toward the study of Lincoln and the perpetuation of his legacy, is the highest tribute awarded by LMU. Previous recipients of the Lincoln Diploma of Honor include distinguished scholars, writers, and actors such as Michael Burlingame, Bruce Catton, Harold Holzer, Charles Hubbard, Raymond Massey, James McPherson, Phillip Shaw Paludan, Carl Sandburg, and Douglas Wilson. LaHood, who served the people of Illinois in the U.S. House of Representatives for fourteen years, was instrumental in establishing the Abraham Lincoln Bicentennial Commission, which he co-chaired with Senator Richard Durbin. He stepped down from that post in 2009 to join President Obama’s cabinet. Before his election to Congress he taught junior high school, and like Lincoln himself, LaHood also sat in the Illinois state legislature. Pictured below are (left to right) Frank J. Williams, Lincoln author and former Chief Justice of the Supreme Court of Rhode Island; Dr. B. James Dawson, President of LMU; and Secretary LaHood. Two movies about Lincoln are currently in the works, and you can get a visual taste of both of them thanks to a couple of images that have popped up in the news lately. First up is a photo of Daniel Day-Lewis in costume for Steven Spielberg’s film about Lincoln’s presidency, which you can see by clicking here. Second is the poster for the film adaptation of the mash-up Abraham Lincoln: Vampire Hunter. Speaking of Lincoln on film, LMU’s Abraham Lincoln Library and Museum has an exhibit in the works about that very subject. We’ll keep you posted as work progresses. Thomas Lincoln has gotten short shrift from many writers over the years, but as a recent article notes, he might deserve a more sympathetic look. The corner cupboard made by Thomas Lincoln which is pictured in the article is now on display in the Abraham Lincoln Library and Museum, thanks to a loan from the family of the late R. Gerald McMurtry. “Lincoln: The Constitution and the Civil War,” the special traveling exhibit created by the National Constitution Center in conjunction with the American Library Association, will be on display at the East Tennessee History Center in downtown Knoxville until January 13, 2012. 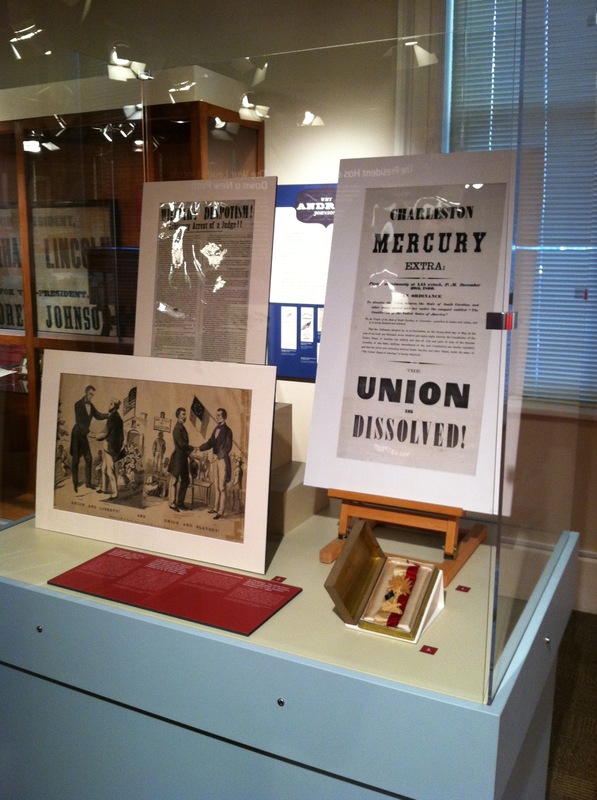 LMU’s Abraham Lincoln Library and Museum has provided some special material to supplement the exhibit’s components, including rare archival items from the vault which are usually out of public view, so be sure to visit if you’re going to be in the Knoxville area.